The name Visual Composer is well known throughout the web dev industry. For reasons we’ll explain shortly, a name change appeared to be in order. We took the necessary steps to ensure the change would go smoothly, only to discover that the result was, in a word – chaotic. Looking back, we should have realized that when a name that was mentioned as a feature on many of the most popular WordPress themes suddenly vanished into thin air, it was bound to create confusion. We want to apologize to our long-time partners and to Visual Composer users everywhere for the confusion and misunderstandings we created. To set things straight, we’d like to take you one step at a time through what became of the Visual Composer Page Builder. Specifically, why we decided to rename it. Rebranding our product was something we didn’t want to do, but as things turned out, we had no choice. 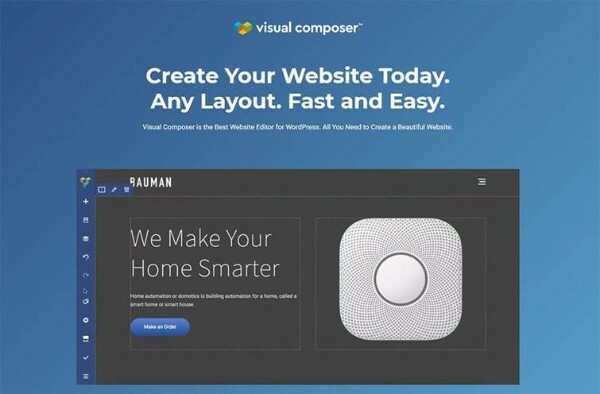 The problem we faced can be traced back to when we created a fresh product, the Visual Composer Website Builder, a website-building tool that serves a different purpose than the Visual Composer Page Builder. The VC Website Builder is NOT a new name for the VC Page Builder. The VC Page Builder is an Envato-exclusive product, and like all products sold by Envato, a lifetime license comes with every purchase. If the same applied to the VC Website Builder everything would have been fine, and a name change would not have been necessary. The Website Builder is however much more complicated than the Page Builder. So much more so in fact, that its development costs are too high to support a lifetime license model. So, we decided to switch to an annual licensing model when we marketed the VC Website Builder. Problem solved? Unfortunately, not quite. We quickly discovered that because limitations in our contractual agreements with the marketplace we couldn’t sell another product with the Visual Composer brand outside the platform. We could change the Visual Composer Page Builder name, which would allow us to market the VC Website Builder with an annual licensing model. We could trim back the features and operational capabilities of the VC Website Builder to the point where we could afford to market it with the lifetime licensing model. While none of those options was perfect, we chose to make the name change since we did not wish to have to compromise the quality and capabilities of the VC Website Builder. Hence, the name of the Visual Composer Page Builder was changed to WP Bakery. 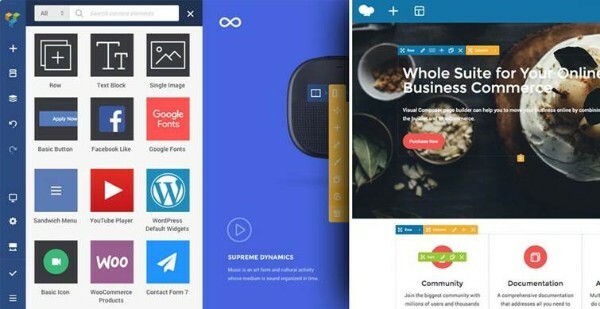 If we could do it all over again, we would have informed our partners and users up front as to what was about to happen; why the VC Page Builder seemed to disappear suddenly, what if anything was different about the VC Website Builder, and why WP Bakery entered the picture out of the blue and what its purpose was. Now that everything is hopefully settled to your satisfaction, let’s have a closer look at our two plugins, the Visual Composer Website Builder and WP Bakery to see their similarities, and what makes them different. WP Bakery is simply the new name for the Visual Composer Page Builder, our first plugin. All the features you’ve used and loved are still there. Only the name is different. With the VC Website Builder, you can create an entire website from zero. 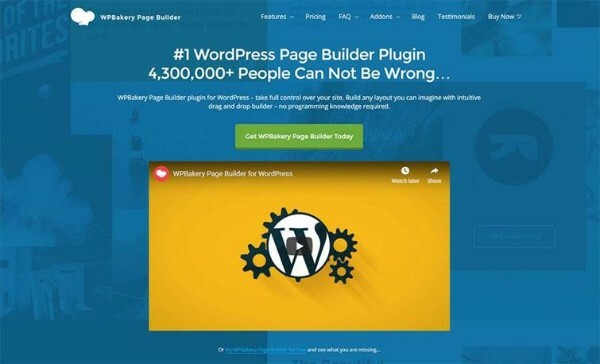 It’s drag and drop features coupled with a variety of WordPress page templates make website building a quick and easy process, plus you can use the Website Builder with any WordPress theme. Page building is done using the frontend editor and tree view. The tree view allows you to view your page-editing changes in real time, which can be a genuine time saver. Two versions are available, a free version and a Premium version. The latter offers several added features including the ability to access the header, footer, and sidebar editor. As we’ve pointed out, they are two different products. With the VC Website Builder, you can create an entire website from nothing, including Content, Header, Footer, Sidebar, and Page Layout. With WP Bakery you’re limited to the Content. It’s also worth noting that WP Bakery is shortcode based, while the VC Website Builder is not. Since it doesn’t use shortcodes, the VC Website Builder enables clean code generation and avoids troublesome issues when the plugin is disabled. Click here to view a comprehensive listing of differences between WP Bakery and VC Website Builder. Another cool feature you get with the VC Website Builder is the cloud-based Hub. You can take advantage of the Hub’s extensive selection of exciting design elements and useful add-ons to extend your design options and capabilities. Both of our plugins feature an impressive array of benefits, and since we genuinely care about our customers and want to be able to provide the best customer experience possible, we continue to improve both of them. We sincerely hope we’ve cleared things up to your satisfaction. If you still have questions regarding our products, leave a comment, and we’ll get reply ASAP.